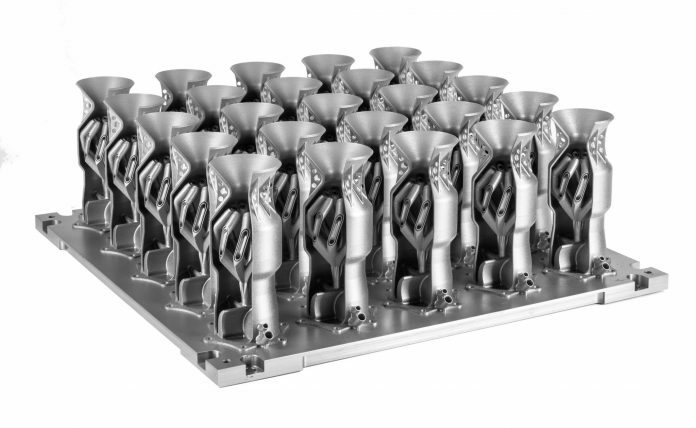 Jointly designed by GF Machining Solutions and 3D Systems, the innovative DMP Factory 500 brings game-changing metal Additive Manufacturing (AM) to the booming aerospace market. This workflow-optimized metal AM printing solution creates seamless large parts with increased quality and lower total cost of ownership (TCO) for aerospace original equipment manufacturers (OEMs) and their suppliers. With more than half a century of expertise and key aerospace machining technologies, GF Machining Solutions keeps aerospace OEMs, Tier 1 and Tier 2 suppliers, maintenance repair and overhaul (MRO) partners and other contract manufacturers soaring high above the competition. 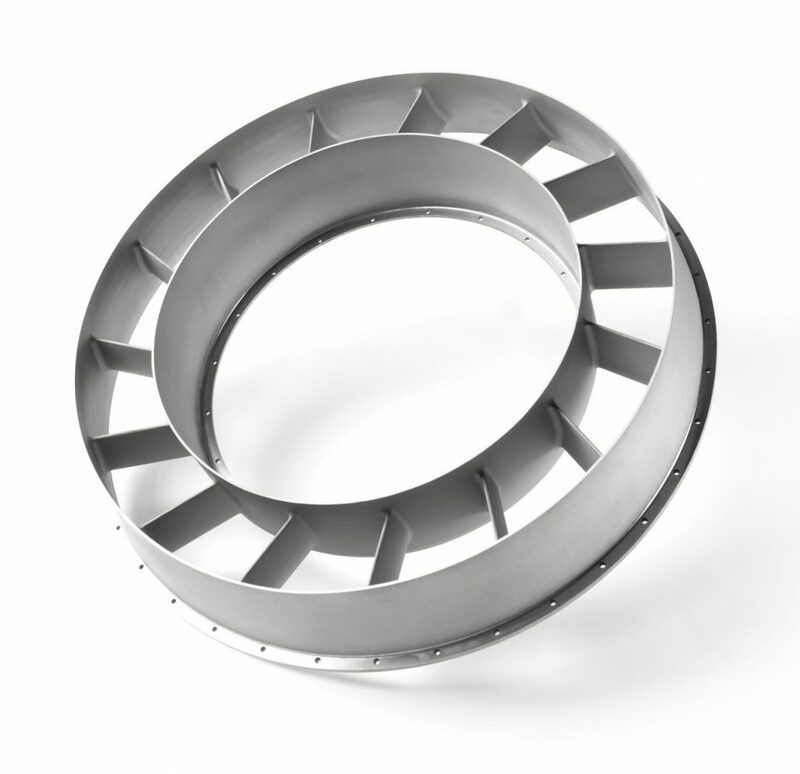 Metal AM has become the company’s most-recent addition to its vast range of aerospace component manufacturing solutions. Recent studies predict a growth rate of as much as 23% for AM in aerospace manufacturing, supporting AM’s full potential as an important component-manufacturing technology in the industry. AM optimizes buy-to-fly ratios through reduced costs associated with waste material while it enhances geometry and design for functionality to reduce aircraft weight and increase performance. These advantages further support the aerospace business case for the technology. GF Machining Solutions’ long history of relationships with aerospace OEMs and 3D Systems’ deep AM expertise and broad portfolio of 3D printers position these partners to develop factory-grade AM solutions that fully address the challenges of mass production and the aerospace industry’s full traceability requirement. The DMP Factory 500 empowers aerospace manufacturers to develop dedicated AM factories today. This workflow-optimized 3D metal printing solution forms the cornerstone of scalable metal AM production of seamless large parts. It ensures massive scalability, high throughput and low TCO for parts up to 1649.606″ x 1649.606″ x 1649.606″ in size. Metal 3D printing emerged as a technology best suited to produce small, intricate metal parts. Achieving consistent high quality even as part sizes increase is difficult, but GF Machining Solutions and 3D Systems master the challenge of achieving consistent high quality when producing very large parts, integrating their deep expertise and clever engineering into the DMP Factory 500. The DMP Factory 500 functions as a viable modular factory solution because it overcomes a vast range of existing hurdles, including control of part quality, cost, workflows and scalability. In doing so, it paves the way for aerospace manufacturers to build higher-quality parts, reduce TCO, simplify process workflows, and scale in a factory environment. Unique vacuum chamber attains the purest atmosphere during printing for best part quality (no oxidation of titanium parts), highest powder recyclability, lowest argon consumption and fastest setup time. Bidirectional material deposition allows for faster recoating and greater productivity over time, translating to lower operational costs. Unique modular concept optimizes utilization to maximize efficiency. DMP Monitoring enables informed decisions about product quality with non-destructive quality control through real-time process monitoring. 3DXpertTM integrated software handles the entire spectrum of AM workflow, supporting every step from design to post processing. The package streamlines the process for a quick, efficient transition from 3D model to successfully printed parts. GF Machining Solutions is the world’s leading provider of machine tools, diverse technical solutions and services to manufacturers of precision molds and tooling and of tight-tolerance, precision-machined components. The key segments we serve include the aerospace, automotive, medical, energy, information and communications technology (ICT) and electronics industries. Our extensive portfolio ranges from Electrical Discharge Machining (EDM) solutions, three- and five-axis Milling machines and Spindles, 3D Laser texturing machines, Additive Manufacturing and machines for Laser micromachining to solutions for Tooling, Automation, Software and Digitalization—all backed by unrivaled Customer Services and support. GF Machining Solutions is a globally acting Division of the Georg Fischer Group (Switzerland) and maintains a presence at 50 locations worldwide. Its 3,394 employees generated sales of CHF 1,066 million in 2018. More information can be found at www.gfms.com.